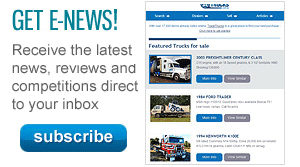 Iveco key accounts national manager Lloyd Reeman. 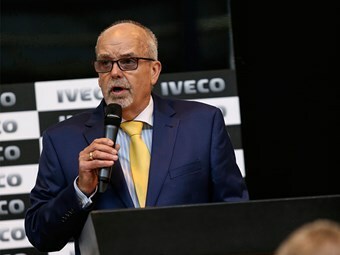 After over 46 years of service with Iveco Trucks and International, Iveco’s key accounts national manager Lloyd Reeman is retiring. Beginning his industry involvement in the mailroom of International Harvester in the 1960’s, Reeman moved into commercial vehicle sales shortly after and developed an ongoing passion for the locally-built Acco, the truck he would later be nicknamed after. "To have had the privilege to work with an Australian manufacturing company, while many competitors have come and gone, has been one of the most satisfying elements of my career," Reeman says. "Along the journey, I’ve crossed paths with many great people and I’ve been inspired by the commitment, positive attitude and passion of many of my fellow colleagues, especially during more difficult times." Thanking ‘Mr Acco’ for his service, Iveco Trucks Australia managing director Michael Jonson says Reeman "has been an outstanding ambassador for Iveco over a long period of time." 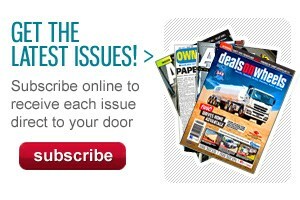 "He is much admired not only within the Iveco organisation, but throughout the broader trucking industry," Jonson says. Scheduled to officially finish in late November, Reeman will continue at the Iveco Dandenong facility in a consulting role. "It’s obviously very difficult to replace someone with his level of industry knowledge and customer rapport," Jonson says. "I foresee that Lloyd will stay involved in our PR campaigns, mentoring and customer-facing activities across many facets of the business."